Winner of the IFTD 2018 Best of Show Award and Outdoor Magazines 2018 Editor's Choice Award, the new Evolution LTX reel combines the feel of Ross Reels orginal Evolution LT and the performance of Ross Reels Evolution R fly fishing reels. The Evolution LTX is a reel that defines what a trout reel should be but also strong enough for big game salt water predators such as Redfish, Bonefish, and Snook. The LTX's new drag system based on the engineered stack-disk system found in Ross Reels Evolution R reel is ultra-smooth and 4X's stronger that the original predecessor's, but still retains the classic sound and feel. Machined from 6061-T6 aluminum, Ross Reels signature bell-shaped arbor adds strength, control, and fast retrieves. The machined canvas phenolic handle reduces weight, added durability, and increases grip when wet. 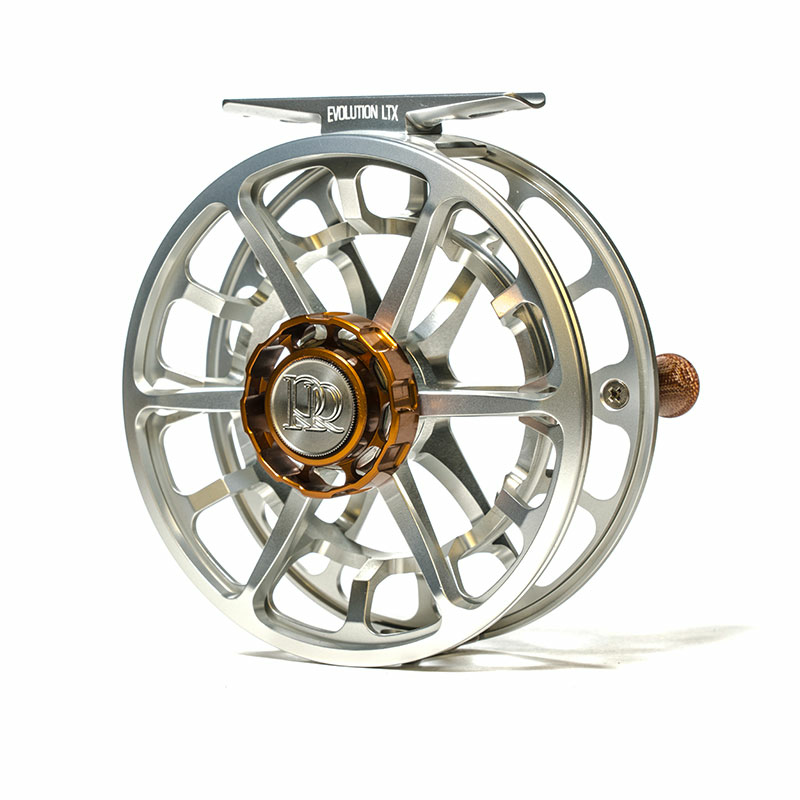 In sizes 3/4-7/8 choose the reel for your fishing pursuits. 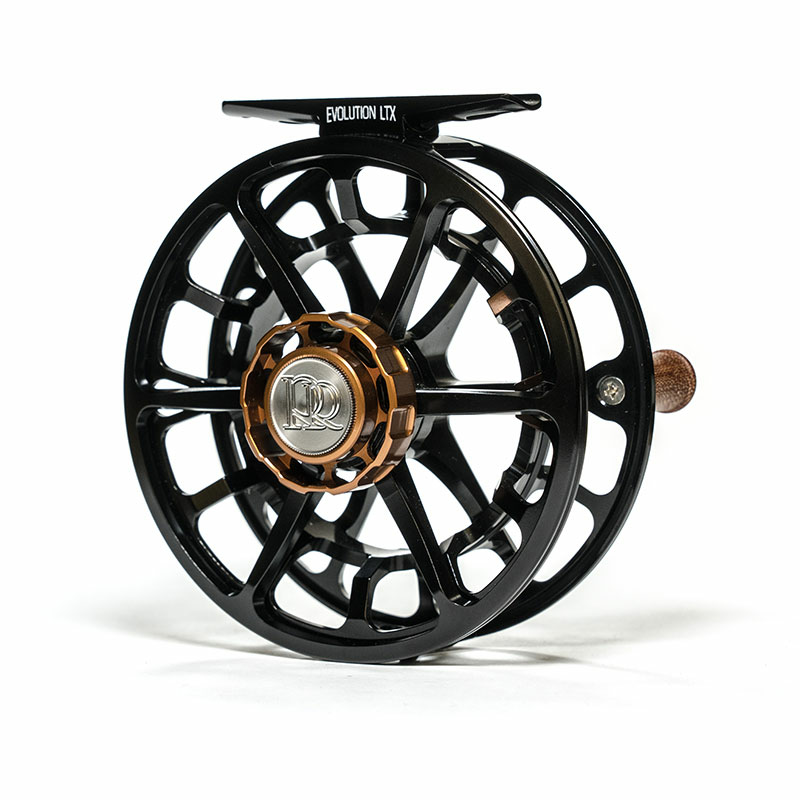 With a great price to match, evolve with Ross Reels Evolution LTX fly reel. Limited lifetime warranty.